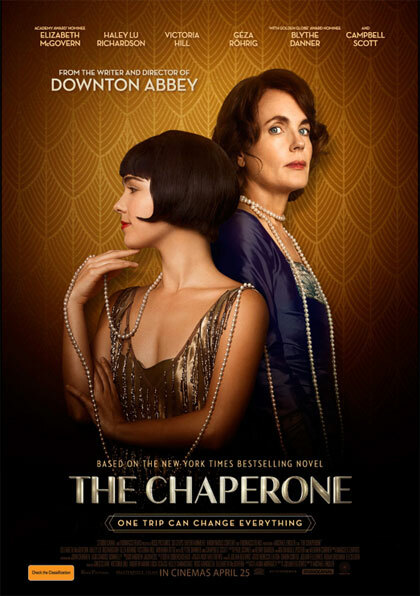 The Chaperone takes place amid the backdrop of the tumultuous times of the early 1920’s. The life of a Kansas woman (Elizabeth McGovern, Downton Abbey) is forever changed when she chaperones a beautiful and talented 15-year-old dancer named Louise Brooks (Haley Lu Richardson, Law & Order) to New York for the summer. One of them is eager to fulfil her destiny of dance and movie stardom; the other hopes to unearth the mysteries of her past. Thanks to StudioCanal we have 5 double in season passes to give away. For a chance to win all you have to do is watch the trailer and email us at info@ciaomagazine.com.au with The Chaperone in the subject line – finishing the sentence one of the characters says early on, “Men don’t like….” Well, what? Make sure you include a postal address for the prize. Good luck. Entries close midday Thursday April 18.